Have you wondered the situations when you might beneeding soft reset for iPhone 7? Well, the situations are aplenty. Whether the iPhone has been stuck in recovery mode, Apple logo or blue screen, it went unresponsive post iOS update failure or due to any malicious app getting downloaded, soft resetting will fix the issue at par. But, if you are unsure of doing it on your own and seek some guidance, we are more than glad to be of help. In this article, we have collated various aspects of soft resetting your iPhone and guides for how to soft reset iPhone 7 and iPhone 7 plus. Go through the article to have a better understanding. How to Soft Reset an iPhone 7/7 Plus? Before you carry on with soft resetting iPhone 7 plus, let's talk about what actually soft reset stands for? Soft reset is nothing but force restart that explains rebooting or restarting your iPhone. 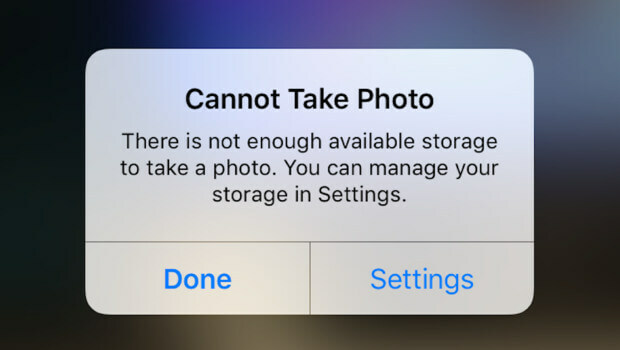 Minor glitches with your iOS can be fixed by forcefully restarting the iPhone and get it out of the iOS errors. It obviously doesn't involve any data loss and hence a comparatively safe option. 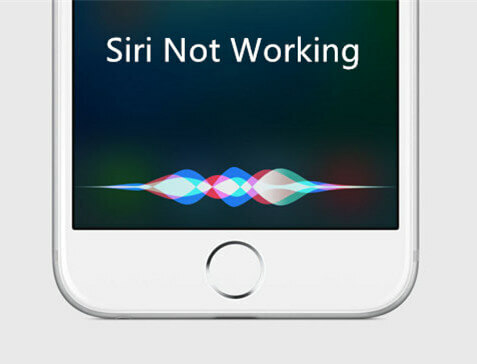 When an iPhone 7 or any other model for that matter gets stuck on blue or black screen or Apple logo, call and texts are impossible to respond, iTunes fails to recognize iPhone, can't connect to Wi-Fi, or doesn't send or receive emails etc. this can act as a sound workaround for you. Step 1. Get your iPhone and press the 'Volume Down' and 'Sleep/Wake' buttons and keep holding them until you can see the Apple logo on screen. Step 2. Once the Apple logo is visible, release the iPhone buttons and let it restart on its own. Now, you might be wondering what is the difference between soft reset for iPhone 7 and hard reset? We have the right answer for you here. When you go for a hard reset, it entirely erases your iPhone 7 data and it can never be recovered post that. But, using the soft reset method, the iPhone only gets restarted without affecting your iPhone's underlying data. When you perform hard reset, your iPhone data along with Wi-Fi and other device settings get erased. While soft reset takes care of minor iOS issues, hard reset results in data loss and influences the iPhone's functionalities. When your iPhone gets stuck, unresponsive or bricked the situation demands a hard reset as soft reset won't be of any help here. Well, as you know soft reset only restarts the iPhone and takes care of only minor issues. In case you are having serious iOS problems that soft reset has failed to fix and you are in no state to go for a hard reset as it would wipe off all the iPhone data, here is how to adapt a soft reset alternative for iPhone 7 plus. Any iOS System Repair is the apt tool for having the best of both worlds for your iPhone. There is no risk of data loss and the tool is effective enough to repair the iOS and get rid of more than 50 iOS stuck issues. The 'Repair Operating System' feature is a mighty one to tackle all iOS problems. The software can also put into and get your iPhone out of 'Recovery Mode' with a single click. Latest iPhone models and iOS versions are supported by this application. Let's see how to use alternative to soft reset iPhone 7 plus, with Any iOS System Repair. At first, you need to download the software. Once the download process is over, install and then launch the program on your computer. Step 1: Get the iPhone and then connect using a lightning cable with the computer and allow the program to detect it. Once the software recognizes your iPhone, tap on the 'Repair Operating System (Fix All iOS Stuck)' option and then hit the 'Start Repair' button. Step 2: After a while there's a need to install the iOS firmware. Just go for the 'Download' button and let the program do its job. Step 3:	Again you have to click the 'Start Repair' button on the following screen. You have to wait for some time, so that the software repairs your iPhone properly and brings it back to life. After going through the article, we observed that if you are looking for an efficient way for soft resetting your iPhone while eradicating any other iOS issues, Any iOS System Repair seems the most viable option. No matter which type of iOS issue your iPhone 7 is undergoing, with this tool you can fix them within no time. There is no fear of data loss like that of the hard reset process. So, you are in no stress to lose any data or device settings, while fixing iOS issues or resetting your iPhone.